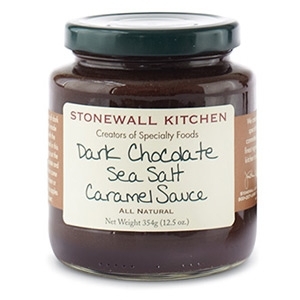 Without a doubt, this Dark Chocolate Sea Salt Caramel Sauce is a staff favorite here at our home office. Artfully crafted, the unexpected combination of savory and sweet is perfect alone, with ice cream or on pieces of fruit. Try adding our Dark Chocolate Sea Salt Caramel Sauce to your brownie mix for extra moist and chocolaty experience! It's just simply delicious!